Timeless elegance never dates. Complement your wedding day with romantic classic car hire and you will be guaranteed a traditional look that everyone will remember. Trends come and go, but it cannot be denied, everybody loves a traditional wedding and thankfully there are some things that will never date when it comes to planning your big day. 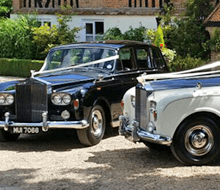 So if you’re hoping for a beautiful classic wedding, here are a few timeless wedding ideas to inspire you, from the team at Bennett’s the foremost suppliers of beautiful Classic Wedding car Hire in Essex. Defined by lovers of tradition, classic wedding dresses won’t date 50 years from now when you’re looking back at your all-important day with your other half. A classic dress is perfect for you if your style icons are the likes of Grace Kelly, the Duchess of Cambridge or Audrey Hepburn. 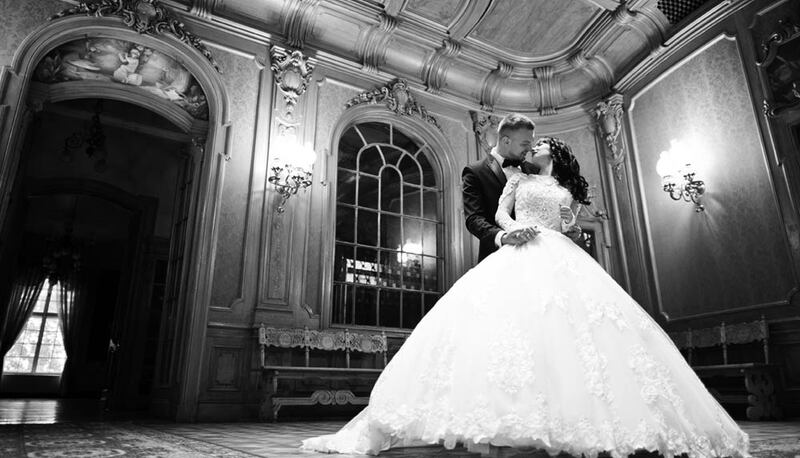 Classic wedding dress styles usually have a flattering silhouette in an A-Line, Ball Gown or fit-and-flare style with fabrics such as satin and taffeta and they won’t be covered in embellishments instead, letting the cut of the dress speak for itself. However, if you fancy adding a modern, quirky dimension to your timeless dress why not add a little bit of something different. With all the focus on the dress, you may not have thought about the wedding veil – We love a long, flowing veil such as the one seen on the Queen’s granddaughter-in-law, Catherine, Duchess of Cambridge. Did you know that for her wedding to Prince Philip, Queen Elizabeth famously saved up ration cards to buy her dress and veil? A romantic fabric that will never date, French lace adds a feminine touch of elegance and grace to any gown and has been used extensively throughout the decades. A bridal staple, classic French lace dresses will always be timeless and often look best in figure hugging ensembles. From Elizabeth Taylor’s orange blossom wreath at her (first) wedding to Richard Burton, to Angela Lansbury’s rose-studded crown at her wedding to Peter Shaw, numerous stylish brides have opted for fresh flowers in their hair on their big day, so why not ditch the tiara? The flowers themselves might fade, but the look will last forever. Wedding flowers are one of the prettiest aspects of a wedding and one way to increase the beauty even more is to have a cascading bouquet. These floral arrangements trail so beautifully, perfect for a classic wedding this style of bouquet will always look incredible. A simple wedding dress and classic sophisticated make up is the perfect way to complement this beautiful ivory cascading bouquet. You know the old rhyme: “Something old, something new, something borrowed, something blue, and a silver sixpence in your shoe”. There’s a reason the tradition is continued today—good luck never gets old. Yes, you did read correctly… Brides and grooms used to carry handkerchiefs to catch their tears of joy. If your grandma passed down the very hanky she used on her wedding day you should wrap it around your bouquet, but if you don’t have a family heirloom to hand, a nice idea is to order some that are personalised and gift them to give to your bridal party. they were served at the nuptials of famous actresses and royal princesses. Fall in love with a larger-than-life wedding cake, like the one at the Presley’s wedding in 1967. Decorated with royal icing and marzipan roses the cost today would be around £17,000. Originally, the rice-tossing tradition was a way to wish the newlyweds fertility and prosperity. Modern brides and grooms these days tend to use petals, bubbles, confetti, and more, but the sentiment is the same. (Don’t worry: That myth about rice being dangerous for birds is not true). Say ‘I Do’ to Classic Wedding Car Hire in Essex and ensure that you conveyed to your wedding in timeless style and elegance. Make sure you get a few photos inside, like this classic capture from Elizabeth Taylor’s 1950 wedding to Conrad “Nicky” Hilton Jr.